The best Instagram grids are planned out meticulously. They have an obvious aesthetic that flows through all of their images, their images are perfectly balanced, and you want to click ‘follow’ as soon as you land on their page. So how can you plan your Instagram to have this effect? 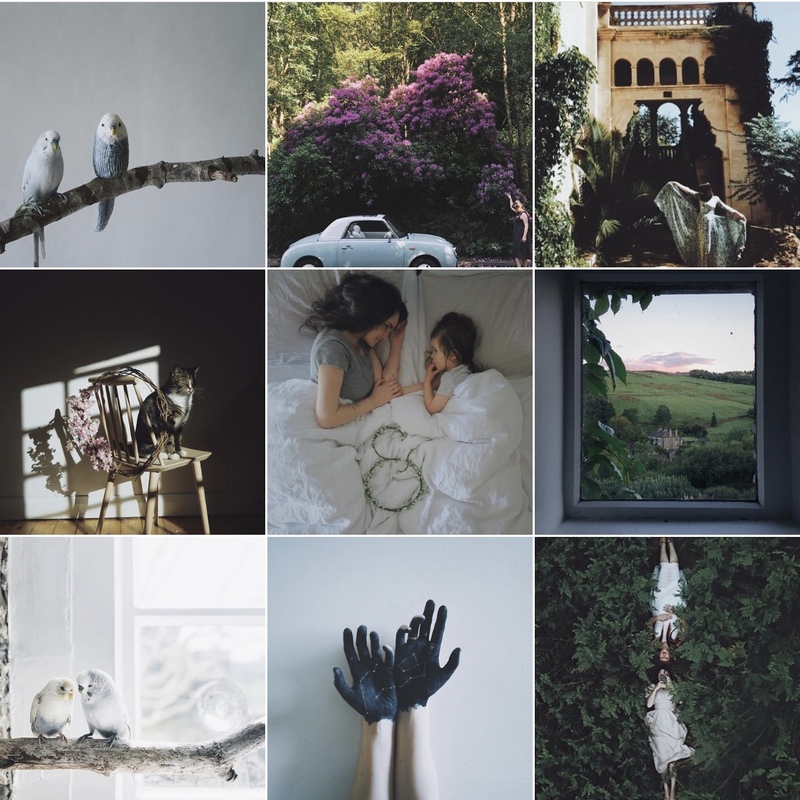 The first step towards planning your Instagram grid is to refine your aesthetic. Look at the photos that you currently share and the things that they all have in common. Do you prefer darker images? Do you always use the same filter? Is there a colour that keeps popping up? Get rid of anything that doesn’t fit with the rest of your images and begin to create a style that is instantly recognisable. For my own feed, that common factor in my images is the colour green. The highlight colours differ through the year, but green is always evident in most of my photos. I also stick to using the same VSCO filter on every image and tend to slightly underexpose my photographs. 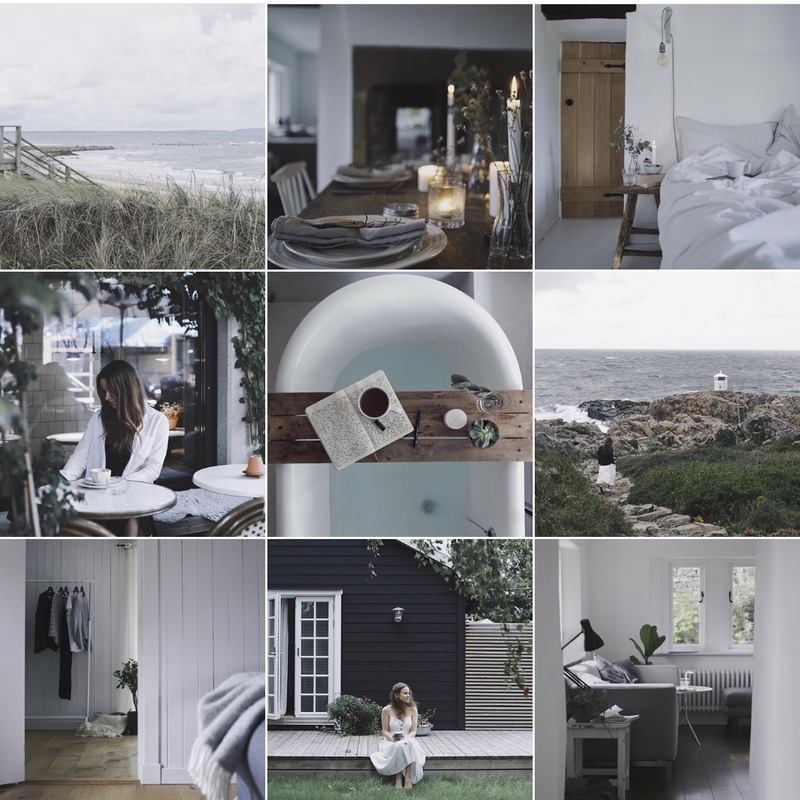 A great example of a feed that sticks to one instantly recognisable aesthetic is @thesefourwallsblog. 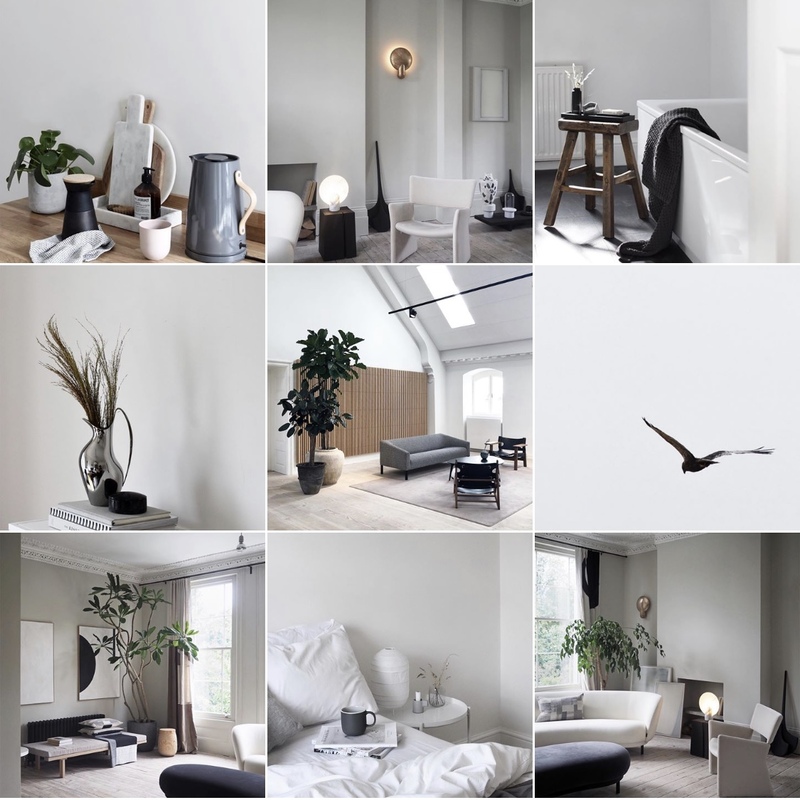 Abi blogs about design, interiors, and travel with a focus on minimalism. 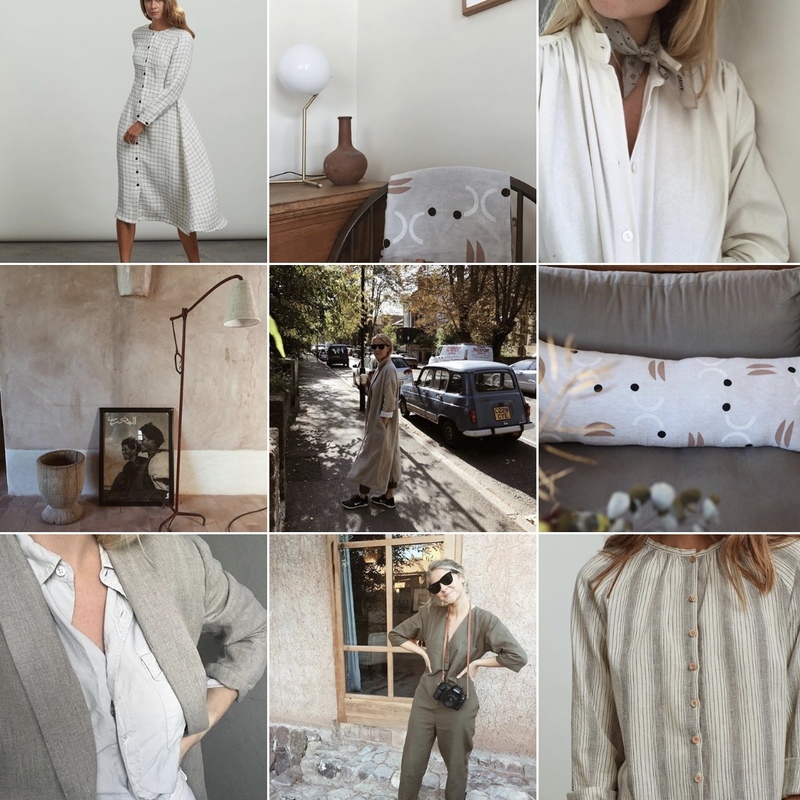 All of this is immediately clear when you first lay eyes on her impeccably curated grid with its white-washed colour palette. The trick is to refine a style of photography that your followers will recognise as your own. You’ll then find that planning your grid comes easily, when your photos all flow together. If you’re having problems making your grid feel uniform at the moment, it’s probably because you haven’t effectively defined your aesthetic. Once you know your aesthetic, use a planning app to organise the order in which you share your photos. It’s tricky to just go ahead and post without checking beforehand that your photos all work beside each other. UNUM, Planoly and Mosaico are my preferred apps to use to plan my grid, but there are many other options available that all allow you to drag and drop images into place. Part of planning your grid is based on visuals. Many people tend to go with a ‘checkerboard’ look, where they alternate light and dark or different coloured images. You could also try something a little more editorial and tell a story through the placement of your images. If you take more photographs, it’s easy to add these into your planned grid and change things around to make the new images fit. Planning your grid isn’t just about making it look pretty, however. If you’re taking Instagram seriously, there are other things that you should consider, such as engagement. Think about the tropes that work on your feed. Is there a particular subject that always does well when you share different variations of it? This could be a photo of a bouquet of flowers, a hand holding a mug, or an outfit shot. When you know the tropes that work for you, you should plan out your grid so that there are always one or two of your key shots in your top nine. The top nine images of your grid are the most important. New people who come to your feed will make a snap decision in a couple of seconds whether or not they are interested in your photos based on these top nine images. So it’s very important that you always keep a couple of your most popular tropes at the top of your feed. Another thing to consider with your top nine is variation. Do you post a mixture of travel, fashion and beauty images? Make sure that all of this content is represented in your top nine images, so new people who stumble upon your feed instantly know what you’re all about. You don’t want to have nine travel-based images dominating the top of your feed if you mostly post about fashion. You want to gain followers that stick around and love the variety of content that you share – so be clear from the start on the subjects that you post about. 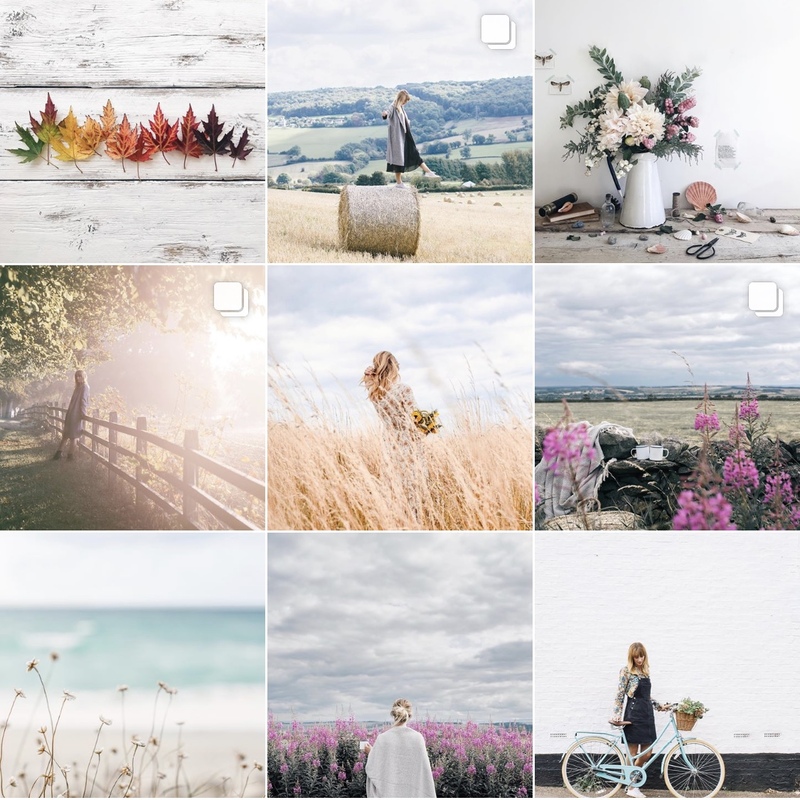 A great example of a perfectly planned feed comes from Dominique of @allthatisshe. 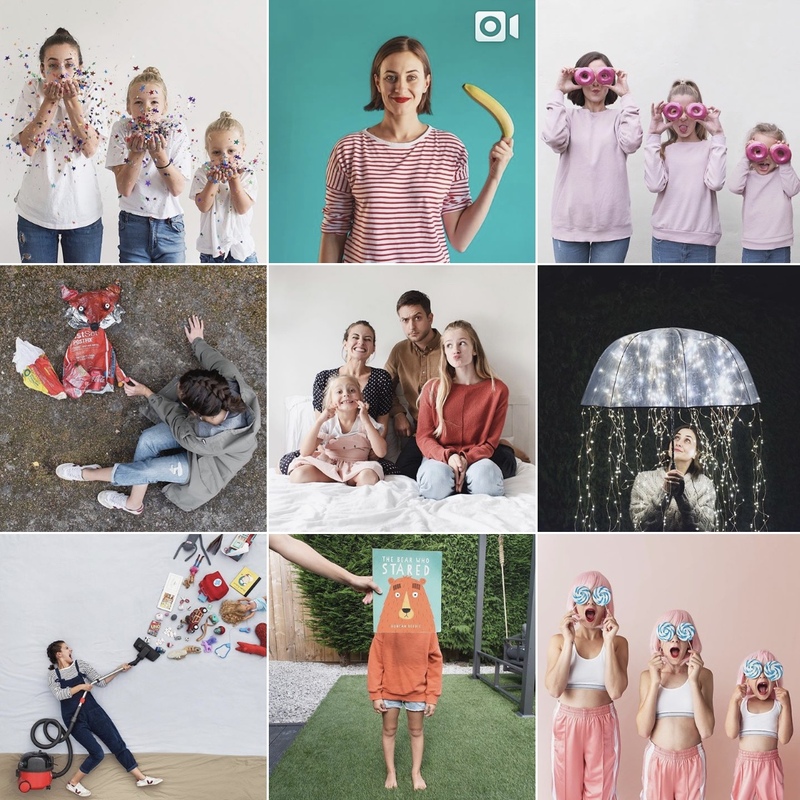 Dominique’s feed is full of creative images, but if you come back to it at any one time you will always find her two most popular hashtag projects at the top of her grid (#allthatisthree and #scenefromtheceiling). If you’re still unsure, the best way to start is to look at the feeds that you like the best. What is it about their grid that you love? How have they laid out their images? Is there a pattern? Once you realise how other people are planning out their grids, it will be easier for you to step away and work on implementing your own. Of course, remember to take it all with a pinch of salt. 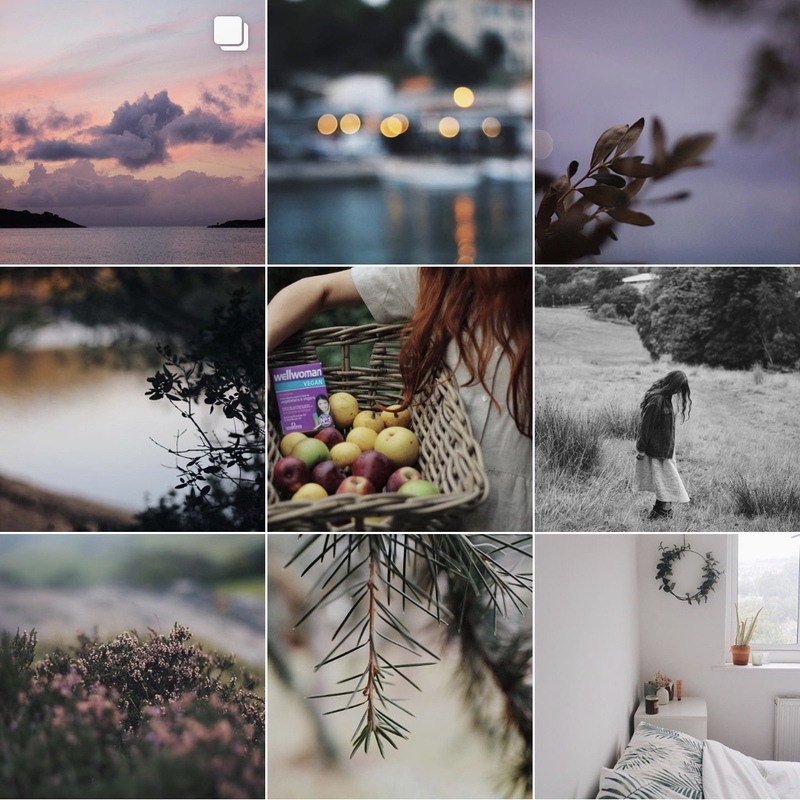 If there is a particular image that you want to share immediately or that doesn’t fit in with the rest of your grid, don’t be put off by the thought of ruining your perfectly planned layout. Share it anyway, if you’re feeling brave, or save it for your Stories if you’re worried about it changing the overall look of your feed. Other examples of creators who plan their grids well.